Copyright Lou Rozensteins. Please request permission for use of images. Wonderful 60's kind of vibe! 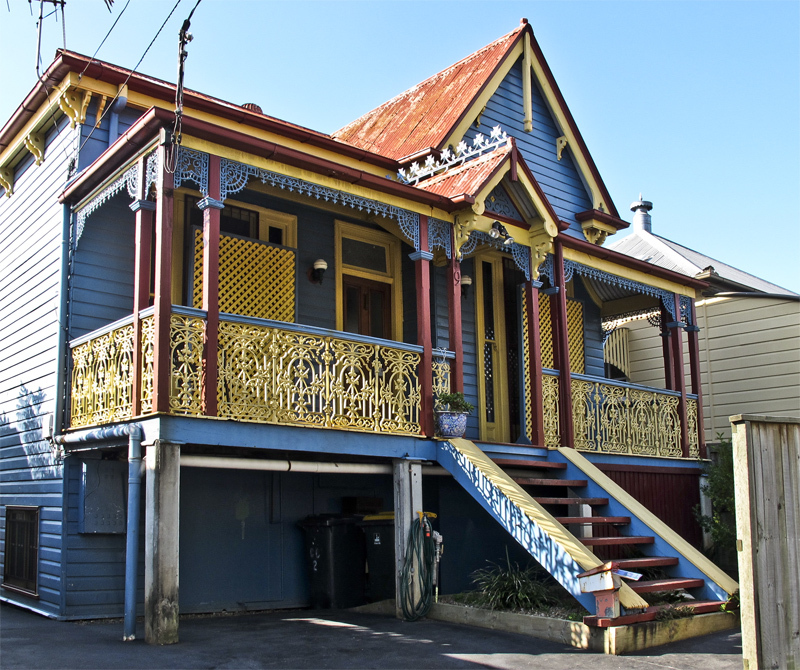 A fine shot of this colourful building with its intricate woodwork, Lou. Cette maison est superbe et vous avez choisi un bon angle de prise de vue pour la mettre en valeur. Very colourful and with very nice light. that's quite a house! wonder if they'll finish. nice shot, Lou. Fabulous old late Victorian house. Nice management of the light. Wonderful shot! Like the shadows on the steps. Love the trim work... hey one of those pointy things is missing! Now that is eclectic eccentric architecture. Love it! Too colourful for me Lou. Nice shot though.